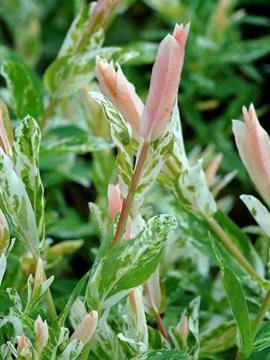 Mottled pink, cream and white variegated leaves opening from shrimp pink shoots. Slender stems. Quite slow growing. Reasonably fertile, moist to wet soil.